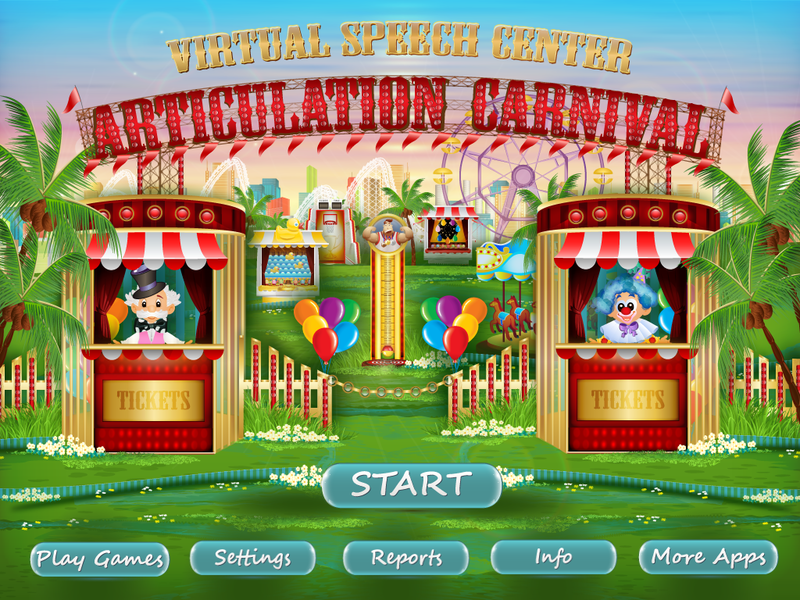 Articulation Carnival is an app developed by the Virtual Speech Center. 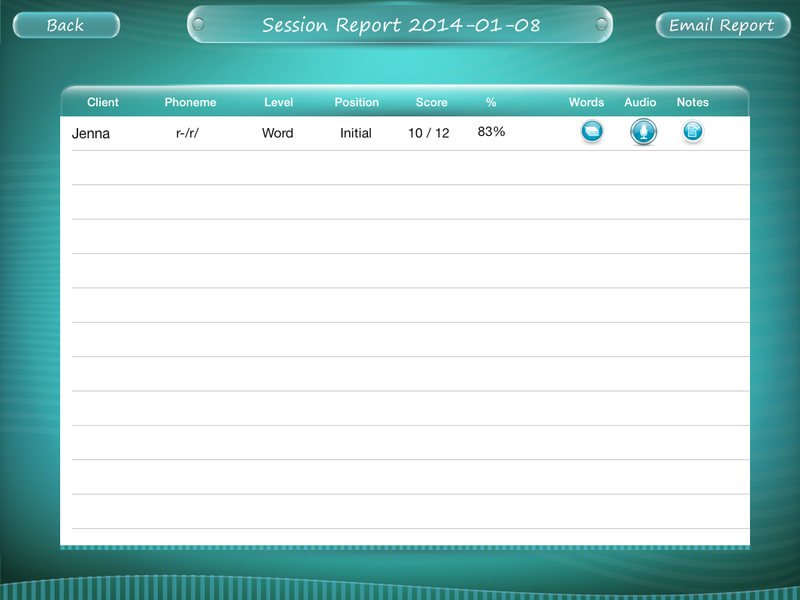 The app targets all English phonemes at the word, phrase, and sentence level. I was provided a copy of this app for review. No other compensation and the opinions and whitty banter included in this review are strictly mine! Start with ‘start’! Add a student. Twerk (not like Miley) those settings to your liking. Most importantly… how many trials do you need before your student earns the game. 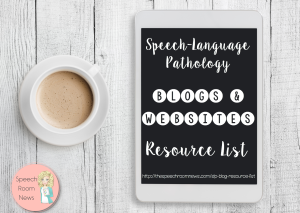 Pick your target phonemes. 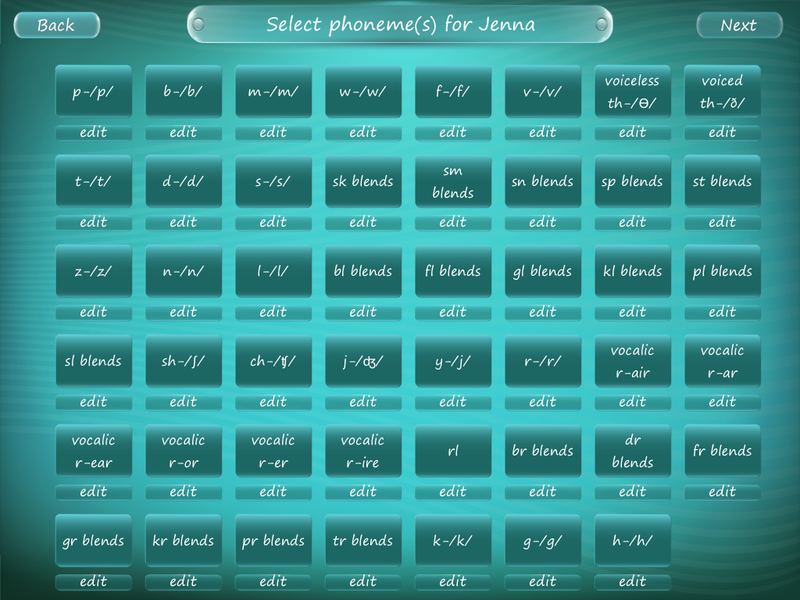 On the left you can change between phonemes, position and level of difficulty. 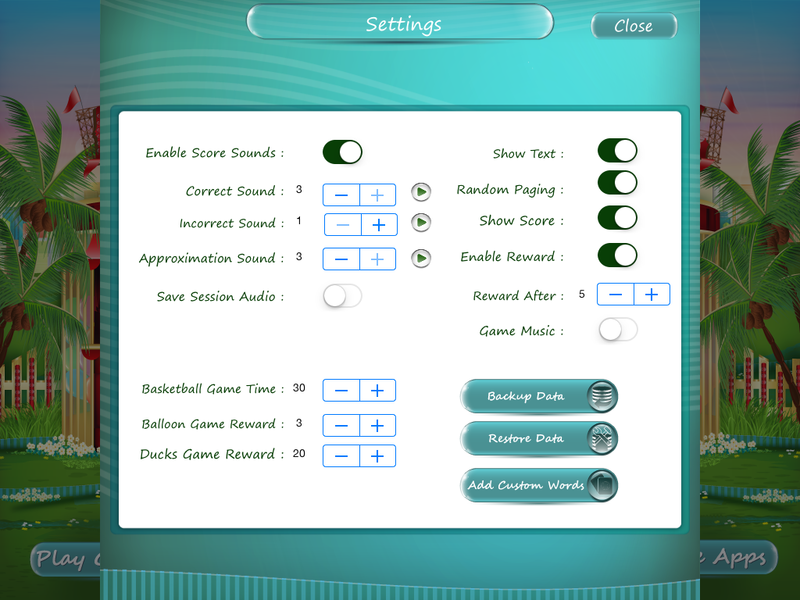 Record audio, track correct/incorrect, and monitor % accuracy on the right hand side. 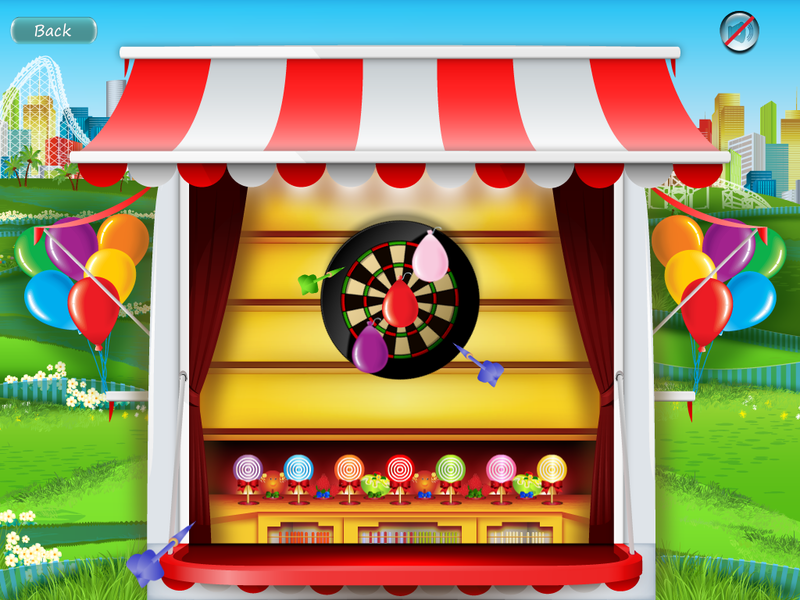 As you answer, balloons are added in the corner so your student can track how many questions until the carnival game. 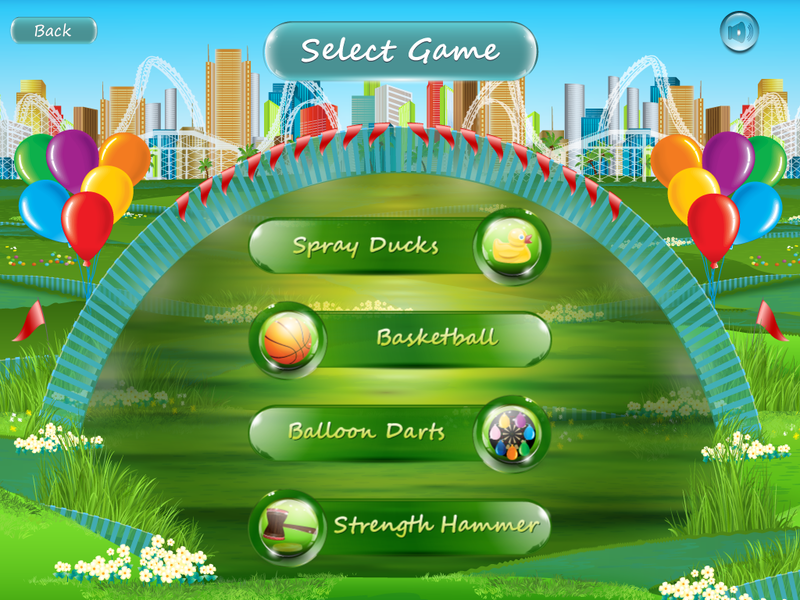 One you’ve met the # of trials required (and chosen in settings) your student can select between 4 different games. Show your muscles. Throw darts. Shoot to score. Data is reported for each student and can be exported as well. 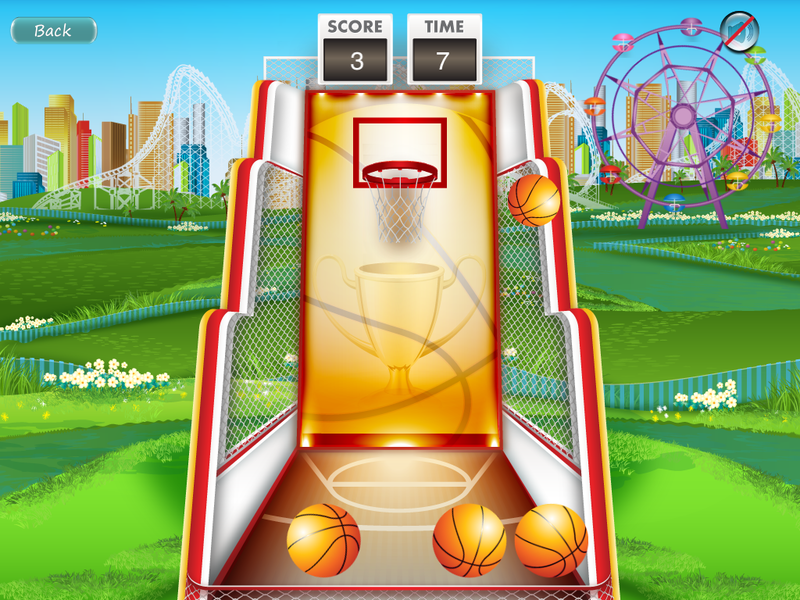 Pros: The app provides 4 different games. They were best suited for my preschool and early elementary students (my 4th grader was bored.) 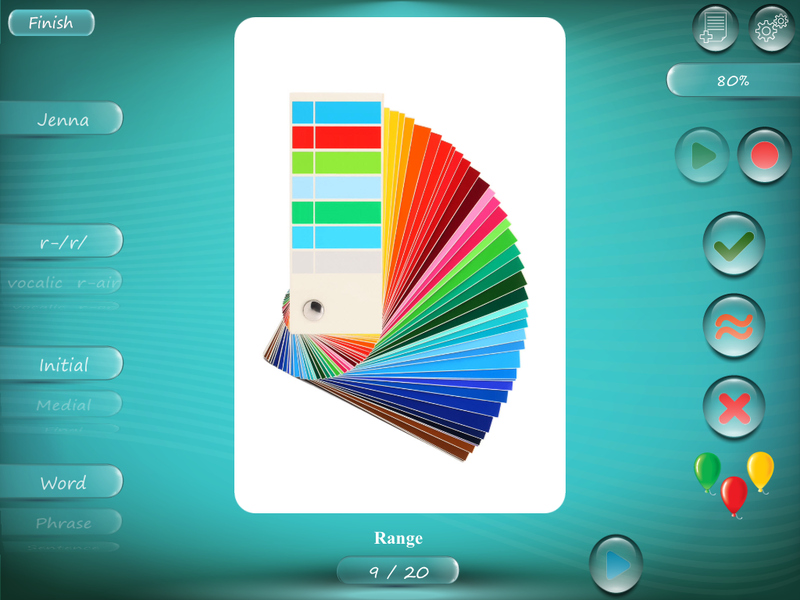 You can purchase just the sounds you need, which means its a great app to recommend to parents! Cons: I’d love the app to include games that were played and had a definite ending. 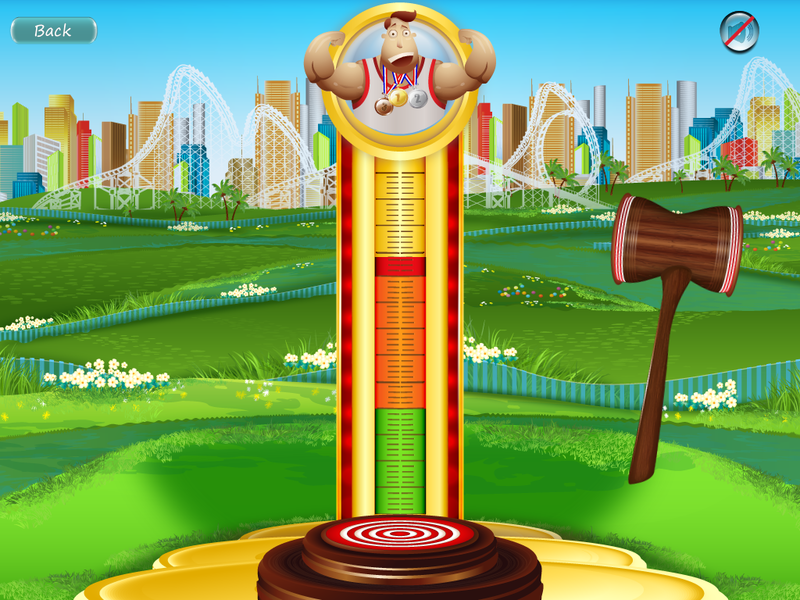 For example, on the strength game, they should have 3 tries and them be automatically directed back to the target words every time. I had to click a few buttons back to the home page (it adds up if you do it 15 or 20 times) and I’d love that time to jot notes. You can purchase this app in the iTunes store. 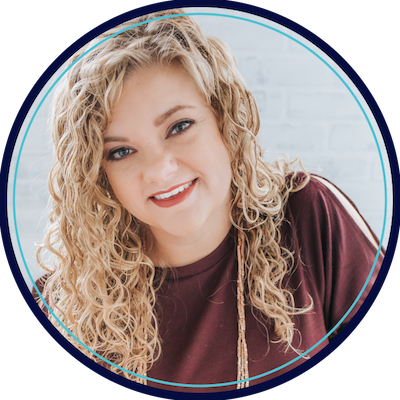 This link takes you to the free download with in-app single sound purchases. Purchasing all sounds would cost 36.99. 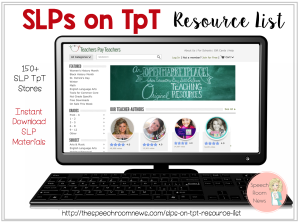 SLPs might rather purchase the Pro version right away with all sounds included!